The latest Department of Defense (DOD) audit now indicates that DOD is missing $6.5 Trillion for fiscal 2015. This means that for the 20th year in a row, DOD and the US Treasury will refuse to comply with the law regarding audited financial statements. 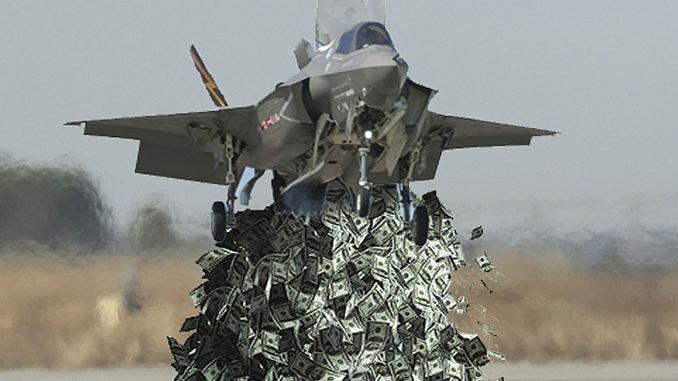 Money missing on DOD audits and middle eastern wars has skyrocketed well beyond $10 trillion. It turns out that the folks running the accounting and payments systems have been busy taking action. Not to find the money and get it back. Rather corporate reorganizations are proceeding to make sure liabilities are contained. In 2013, SAIC moved its government contracting business into a new company Leidos. Now Lockheed Martin is spinning out its Information Systems & Global Solutions to Leidos. The deal was closed and implemented immediately prior to the latest DOD Inspector General Audit. Lockheed is the largest provider of information systems, including accounting and payments systems to DOD and US government agencies. Needless to say the conflicts of interests between managing the payment systems for an agency that is also your largest customer are astonishing. Is this a signal that the defense contractors who run the US government systems are anticipating that the “s*** is going to hit the fan” after the election? Do they want to make sure their most profitable operations – like weapons manufacturing – or operations that are growing – like satellites and space – are neatly separate from the liabilities involved with trillions going missing through the information, accounting and payment systems they operate for the US government? Don’t be surprised if some of that $6.5 trillion missing is neatly tucked away as an endowment to support future operations, irregardless of what happens to the US government. It looks to me like the time to reconsider citizens escrows under state and local jurisdiction is here. The financial equivalent of citizens arrests may be the only way to ensure that our tax dollars are going to fund lawful purposes.